A tree against the sky possesses the same interest, the same character, the same expression as the figure of a human. 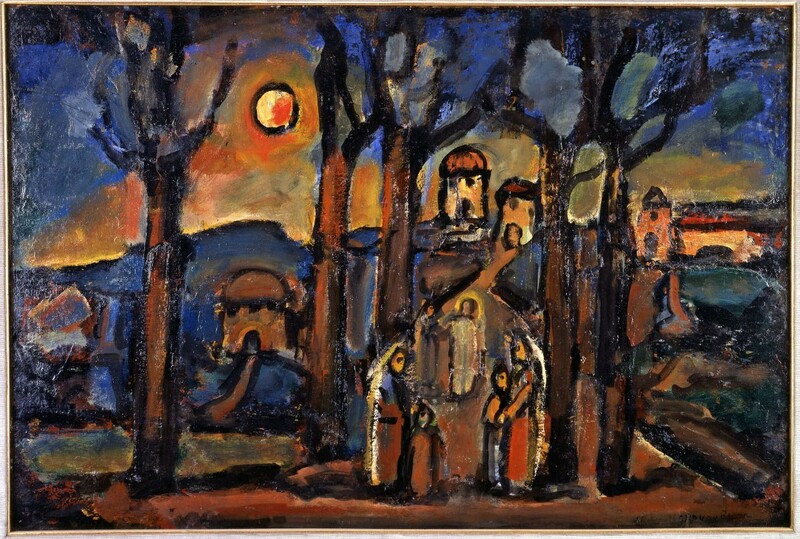 Georges Rouault (1871- 1958) has been a favorite of mine for a long time and the quote above certainly falls in line with my own feelings about the image of a tree. I have used the tree, the Red Tree to be more exact, for the past twenty years as a surrogate for the human figure in my paintings. You could pretty much insert a human figure in place of the Red Tree in many paintings and not lose much of the emotional content of the painting. It would be a different painting, that’s for sure. The presence of the figure would focus everything on the specific human aspects portrayed in it. Is it a man or a woman? A child? Tall or short? Thin or wide? The interpretation of the painting becomes much more narrowly defined. Using the Red Tree, on the other hand, allows for a broader reading, allows the viewer to see it in whatever terms they desire. It can be their own surrogate in the landscape. Or it can take on the characteristics of someone with meaning for them or someone expressing feelings that they share. Or it can simply be a tree. 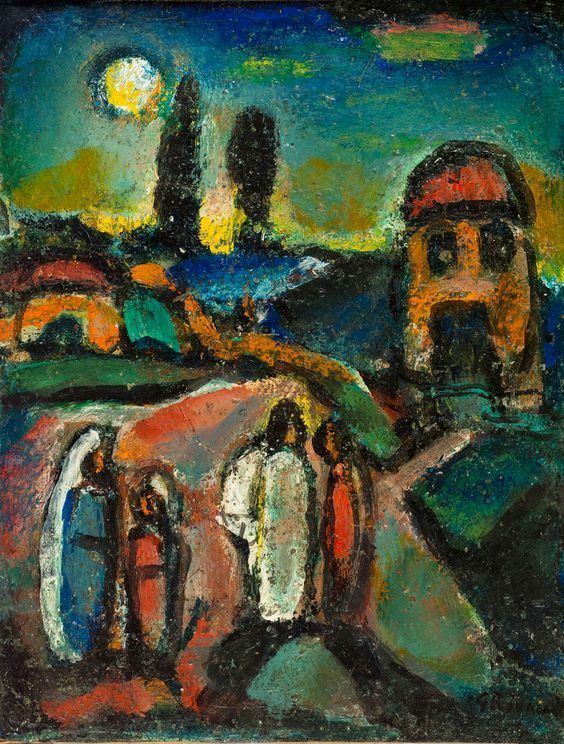 So, while I like being able to give the viewer those choices,I see the trees in my work, as Rouault says, as having the same interest, the same character, the same expression as the figure of a human. 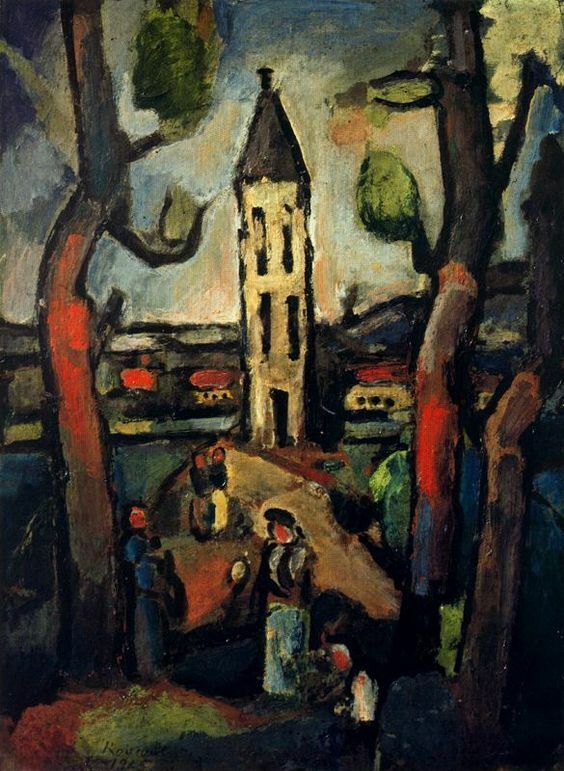 I do find the sight of a single tree against the sky compelling, and I suspect it’s at least partly for the reasons you and Rouault suggest. Whenever I see a “good one,” I look for my camera.